"NASHVILLE is in The House!" 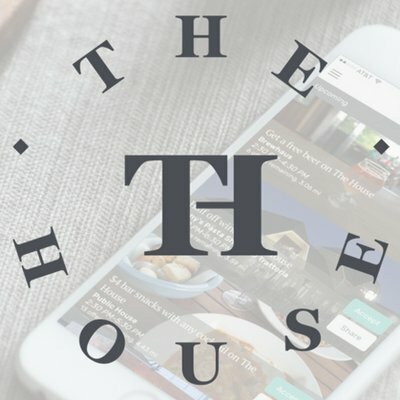 -- The House being the food, drink, event and entertainment deal-finding app recently launched by two veterans of venture-backed Bellhops Inc. The House Co-Founder and CEO Matt Patterson, 32, and Co-founder and CTO Adam Haney, 29, formed Eat on the House Inc. in 3Q 2016 and launched it in Chattanooga two years ago. Both men earlier played key roles and gained minority equity stakes in Bellhops Inc., the Chattanooga-based asset-light moving company that has raised nearly $59MM in outside capital since its 2011 launch. The House has accepted minority investment from Lamp Post Group, the Chattanooga venture incubator, as well as from a hospitality group, said Patterson. The CEO confirmed that the company has received other interest from potential investors, but currently has no plans to seek venture capital. He also acknowledged that he and Co-founder Haney began their venture with an eye toward working in it for at least the customary seven to 10 years, focusing on building a valuable business. Asked about competitors, the CEO said he knew of no direct deal-sourcing comparables on the national scene, though clearly many consumers rely on Yelp and on Open Table in determining their destinations. He added that many individual markets have local websites with guides to venues. 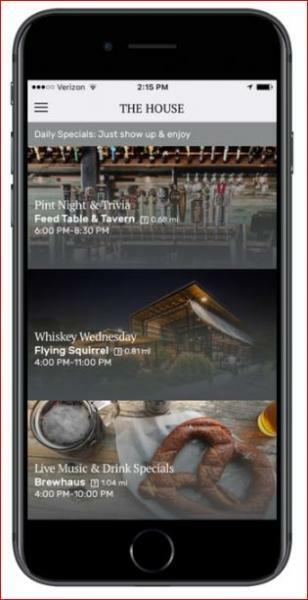 Patterson explained that the company's app does not rate events and establishments listed on their app, instead focusing solely on providing consumers tips on sponsors' deals, events and other opportunities. The model calls for merchants to advertise on the platform, where their messages can intersect users who are still making decisions about where to go that day. Patterson said this has proven especially attractive to merchants seeking to augment promotion aimed at building traffic during slower dayparts, he said. Merchants typically pay monthly fees for advertising, under a standard one-year contract. The CEO said the company has more than 200 merchants engaged under limited-trial agreements in the Nashville area, and it has a total of about 200 established customers in its other four markets. On April 4, the company held its Nashville launch party at Kung Fu Saloon. Music City is its largest market, thus far. A similar event is planned here yet this spring for restaurant and hospitality executives, Patterson told VentureNashville. Prior to last week's formal launch in Nashville, Patterson said he estimates the app already had more than 1,000 users focused on Nashville. He said he believes that level of adoption was spurred in large measure by people who had previously used the app for Chattanooga (launched in 2017) and its other cities, then found that The House had begun covering Nashville, as well. After Chattanooga, The House sequentially launched in Birmingham, Huntsville and Knoxville before debuting in Nashville. The company has its eyes on other major cities within easy reach of Chattanooga (particularly Atlanta and Charlotte), but its future market entries will ultimately be opportunistic, driven by finding the general manager they need. The House recently employed Nashville-based Shawn Hettwer as their first new-market general manager. The company's outside advisors include attorneys with Chambliss Bahner & Stophel and accountants with Market Street Partners PLLC. It banks with Bank of America. The Delaware-registered company has not filed any patent or trademark applications, said the CEO. The app is available via the iOS Apple Store and via GooglePlay for Android devices. Its website went live about a month ago. The co-founders now personally oversee Chattanooga, Knoxville, Birmingham and Huntsville markets. One or both founders have lived, worked, gone to school or otherwise established networks in those cities. Patterson is a native of Birmingham and Haney a native of Knoxville. They respectively earned their undergraduate degrees in finance (University of Alabama) and in computer science (University of Tennessee, Middle Tennessee State University). In addition to Bellhops, Patterson's earlier experience included stints with BBVA Compass financial services and with National HME (hospice medical equipment). 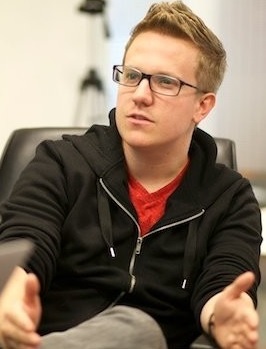 Patterson confirmed that his earlier career stops partly coincided with those of Bellhops Co-founder, President and Chairman Cam Doody. 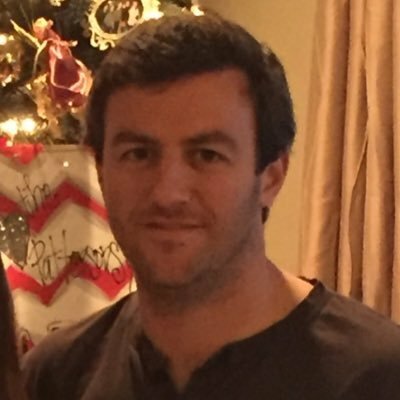 In addition to House and Bellhops, Haney has served as a startup mentor through The Company Lab accelerator in Chattanooga; a VP with Hyperedge, a data house in Chattanooga; and, in two other Tennessee startups, according to his LinkedIn.